In February, 2016, a family going through their great-grandparents’ old house contacted MINT State. 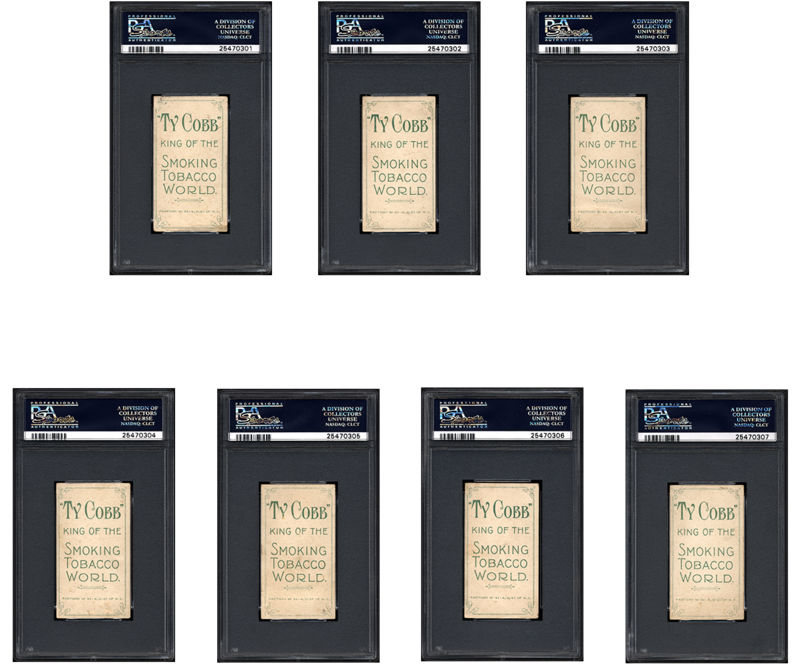 They uncovered seven T206 Ty Cobb cards, each with the “Ty Cobb Tobacco” brand on the back. 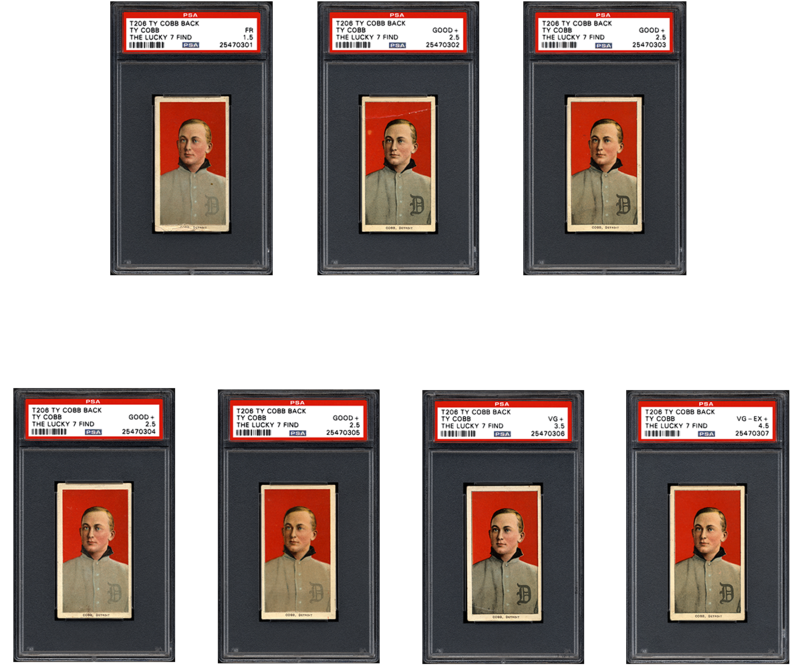 The cards were promptly authenticated by PSA and were collectively referred to as The Lucky 7 Find. A marketing campaign was immediately undertaken and the story went viral. Selling the cards on behalf of the family using our direct sales method, we made millionaires of our clients.